As is always the case, E3 brought with it this year a few cases of games that are well away from their release dates, lots that might not even be ready until late next year. So with that in mind, I thought it might be fun to spin all this E3 talk ahead and start thinking a little bit about next year’s show. What games will we definitely see, what games will surprise us, what other news might we expect to see – questions like that I think are not totally out of line to think about already. In terms of games we saw this year that I think we know we will see next year, I think one of the biggest games of next year’s show will be DICE’s Star Wars: Battlefront. The very little we saw at the EA press show looked unbelievable, but was easily picked out as being super early in development. I think by next year though we’ll see a real fleshed out build, probably even playable on the show floor. It really wouldn’t surprise me to maybe see something along the lines of Battlefield: Hardline with a beta announced at the show. I also really think that Rainbow Six: Siege will have a great showing, probably the last tune up before it’s release. It already emerged this year as a show stealer, so by next year’s show I really expect it to be one of the bigger games of the show. Also I would bet that Rise of the Tomb Raider will have a real strong show next year, probably a great trailer and playable demo on the show floor. It’s another game that I think had a great announcement trailer, but is so far away from release it’s hard to really get a feel on the game. Tom Clancy’s The Division is another game that depending on it’s release date, could end up being another show stealer next year – probably with a demo on the floor, plus something for non-attendees. Finally, there are two more that we saw this year that I think will be the big two next year – Mass Effect and Uncharted 4. Both are still super early in development, so we really didn’t see anything to really judge them on, but both will definitely have great builds to show next year. In terms of surprise games, or games that we didn’t see this year, I really expect that we’ll see Kingdom Hearts 3 next year in a real meaningful capacity. Same deal with Final Fantasy XV, seeing as Square-Enix really didn’t have a strong show this year. I expect Nintendo to bring the thunder too next year – definitely Zelda, but probably a new Mario and Metroid as well. I also wouldn’t be surprised at all to see Fallout 4 finally get shown, with an aggressive release date. This is always a fun time of the year for gaming, even though there aren’t a ton of new games coming out, but the news just keeps flowing, keeping the hype high for us players. Now that we’ve had a full week to really digest what we saw at E3 2014, I want to pick a few games that I think really were the standouts from the show this year. I won’t be quite as direct as some of the more official channels with having “Best of Show” awards, but still – there were plenty of games that I think deserve a little bit more talk. With that said, I do think that over the course of the whole week, Evolve managed to set itself apart as being the “Best in Show” this year. 2K brought a new trailer that revealed a brand new Monster type – the Kraken. Beyond that they also had a large booth that had a playable demo, with all impressions coming out of it seeming to feel that the game was as fun as the trailers would have you believe. I think just based around the strength of this showing, on top of the early trailers and info from the beginning of the year, Evolve has probably the most hype going into the fall of the next-gen new IP’s. Sunset Overdrive is another game that had some good momentum going into the show that had to have a strong show to really ramp up the hype train going into the final months before release. Luckily, if any developer knows how to show the spirit and tone of their games – it’s Insomniac. They arrived to the show in style, and had a nice new trailer to show at the Xbox conference, with a pretty important role, being an Xbox One Exclusive after all. All that doesn’t mean much if the actual gameplay doesn’t measure up, but all accounts seem to indicate that the game is as fun as it looks from the trailers. No game really took me by surprise and totally got me excited for it as No Man’s Sky did during the PlayStation conference. While I think it’s still a PS4 exclusive, that game did more to make me want to get a PS4 than any other major Sony release. The procedural generation of a persistent universe, where every new thing is randomly created really struck me as the kind of game that could be a one with a really long, unique lifespan, much like Minecraft. If it stays a PS4 console exclusive, I think there’s a real argument to be made for picking one up for it alone. Battlefield: Hardline had a really unique position coming in to the show since it had leaked a few weeks before the show. This really put the pressure on EA to deliver a strong demo and “reveal” to really get the buzz going for the game. Showing a pretty long reveal trailer with nothing but gameplay was definitely a great first step, but the fact it was playable on the show floor, as well as announcing the PS4/PC beta that started that day really did the job. As we’ve learned a little bit more about the details of the actual gameplay, I think that Hardline has done a good enough job setting itself apart from the usual Battlefield fare. 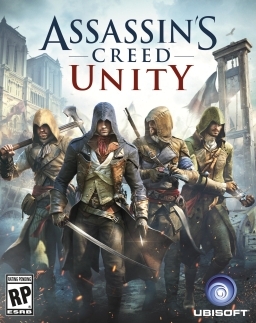 Two more that I think really set themselves apart were Far Cry 4 and Assassin’s Creed Unity, from Ubisoft. Now, ACU had some disparaging feelings toward the end of the show, about the “difficulties” that would result from adding in a female assassin, but I still think that the game had a really strong showing, looking really good all in all. Far Cry 4 may have been the Ubisoft game that stole their lineup. Between the ability to have PS4 players that don’t have the game still able to join in, plus the actual gameplay and setting looking quite strong, I think this might be one of the bigger hits for the fall/holiday. 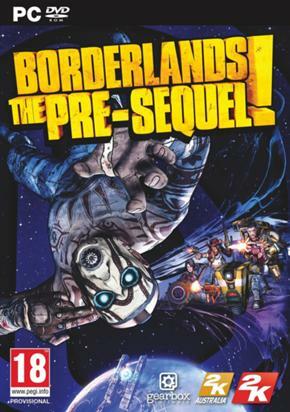 The last game that I think really had a strong show is Borderlands: The Pre-Sequel. Coming in on a really good trailer that nailed the Borderlands tone and style, as well as a longer trailer that showed off the Pax East footage with developer commentary; 2K and Gearbox really had the right circumstances to have a strong showing. Having the game playable, while not having a trailer at either event really focused the tone directly to the game itself. I think that because this is a 360 game, it might have slid under the radar a little bit, but will end up being a big player this fall. Beyond those games, I think there were a few other great games that were showed, but may have missed that one thing to put them over the top. Halo: The Master Chief Collection is one – I think having a playable build at the show would have helped a lot, but the hype is definitely high with this one. Call of Duty: Advanced Warfare I think was just too much of the same for this year’s show – gamers I think are starting to drift away from the CoD formula, but the only way to know for sure is waiting to see the final results. Arkham Knight and Mortal Kombat X both had great trailers showing really good gameplay, but are so far out that we just have too long a wait. Finally, I think that Metal Gear Solid 5: The Phantom Pain looked great, but didn’t have gameplay to show, plus I’m just so far out of the MGS loop that the trailer ultimately was just eye candy for me. The final press press conference from this years show that I’m going to run through actually took place Monday evening. Ubisoft was coming into this year’s show on a high note with the success of Watch Dogs, and a strong line-up for the rest of this year into next year. Now I did miss about 10 or so minutes towards the beginning of the show, so I’ll toss that disclaimer out there, but aside from that, let’s run through the show. Opening the show was a trailer showing off what appeared to be the beginning of the game, detailing the game’s main villain. I’m assuming that this was a cutscene from the actual game, but we’ll just have to wait to see. After my quick break, I came back in time to catch the end of what looked like a pretty downer of a Division trailer. It looked more like a CG trailer than gameplay to me, but with the new-gen consoles it’s sometimes tough to tell. Looking back at all the conferences now, I think the better showing of this game was during the Xbox conference, which showed off some actual gameplay, but we still have plenty of time to see all kinds of new footage until the game launches next year. Ubisoft’s answer to the upcoming Forza Horizon 2, The Crew is another large scale racing game, featuring two different coast-to-coast races in the U.S.A. The other cool thing I thought was that the game doesn’t have any loading while you’re driving those races. 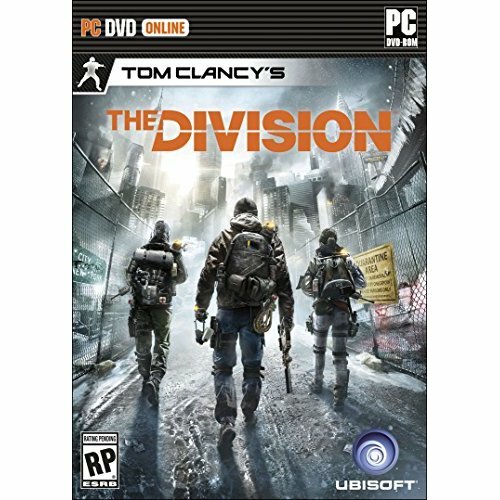 The other nice thing is that Ubisoft is launching a beta on July 23, in advance of the game’s November 11 release. Showing off what has probably become Ubisoft’s most popular franchise, we got a new trailer for the latest Assassin’s Creed title. The trailer was set on Bastille Day, further illustrating the French Revolution setting. Following that trailer we got another gameplay demo, set after the actual Revolution, during the Reign of Terror. The gameplay looks very much like the Assassin’s Creed we have come to expect, set in what Ubisoft is calling a “Systemic Open World.” We’ll be able to explore the French Revolution on October 28. Next up, we got a stage demo of the upcoming Kinect fitness game, Shape Up. Overall it looked like a standard fitness game, just with a lighter tone and more “gamification” of the actual workouts applied. It’ll be out on the Xbox One this November. We got a really change in tone after that though, in the form of a trailer for Valiant Hearts: The Great War. The actual game looks like a puzzle-platformer set during the First World War, but damn was the trailer a major downer, which I guess with a game set during such a heavy time in history isn’t necessarily a bad thing. We can judge for ourselves later this month, since the game is out on the 25th. The show ended with a look at the return of the venerable Rainbow Six franchise, a series close to a lot of gamers’ hearts. Showing off what looked to be 5V5 gameplay of a SWAT team breaking into a home to rescue a hostage being held by terrorists, the game looked super smooth and beautiful. Walls and doors were essentially paper, allowing players to shoot through them with no issues. We learned after the show that Rainbow Six: Siege is the result of what used to be Rainbow Six: Patriots, which was cancelled and rebranded. I have a feeling that this will end up being a big player next year, with a strong showing at next year’s E3, but that’s a long ways off right now. All in all, what I was able to see of the Ubisoft show looked promising – I think Far Cry 4, Assassin’s Creed: Unity and The Crew all look very good in their own ways, while 2015 should also be a solid year for Ubi with the two Tom Clancy games. With that, we have gone through each press conference from this year’s E3, talked about a whole slew of games coming out this year and next, and I think we can go into the second half of this year fully hyped and ready for some really awesome games. Next week I’ll try to pick out a few “Best of Show” winners, and also talk a little bit more about some of the games I’m really hyped for now. Electronic Arts held their E3 2014 press conference on Monday this week, before the actual event opened, just like Sony, Microsoft and Ubisoft all did. EA had the job of following the Xbox show, which as I’ve mentioned, I think was a really strong showing this year, so the bar was pretty high. As I’ve done with the Big Three’s shows, I’ll break down the EA conference. EA certainly knew how to start the show off on a high note – kicking off with a phenomenal teaser trailer for DICE’s upcoming Star Wars Battlefront. Curiously, they didn’t put a Three after the title, which has me thinking it might be a “reboot” or that they are kicking around ideas for a sub-title. While what they showed was clearly in the very earliest stages of development, what we did see looked absolutely insane. The detail and love that DICE is putting into this game is really evident – but we have a while to wait to see it, as they are going with Spring 2015 as a release. EA followed up Star Wars with a really nice segment featuring one of my favorite developers around – BioWare. BioWare started off by showing a pretty in-depth look at the upcoming Dragon Age: Inquisition – the third in their fantasy RPG series. The fact that this game will have a more open world, with more control on the tactics of party members (similar to the first game) as well having a “Tactical Camera” option which pauses the time flow for commands, really has me more interested in this game than before. Beyond that, the game itself just looks really good. 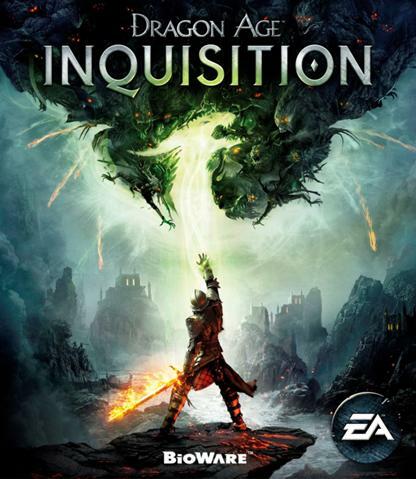 The other major section of this game was dedicated to showing off four characters – Black Wall (a Grey Warden), Sera (An Elven Archer), Iron Bull (A Qunari Warrior) and Vivenne (A Mage with some curious history and motives). As we get closer to the October 7 release, more and more will be coming out, but it looks like a strong contender for RPG of the year I think. The other great bit of info we got from BioWare was some new information about the next Mass Effect game in development. As a huge fan of the series, it was really refreshing to know that they are creating a brand new story, with new characters and worlds to explore. As much as I love Sheppard – I think it’s clear his story is over. It’s time to move on and find new characters to love. The last little bit of BioWare’s segment was devoted to briefly talking about a brand-new IP that they are developing. This particular game is still super early in development, so we really didn’t get much. I think ultimately, we will probably know more at next year’s show on both Mass Effect and whatever this new IP is. EA’s hugely popular world building series got a nice little segment, showing off the personality customization options that they have added into The Sims 4. I’m admittedly not a huge fan of the series, but I know that on September 2, a lot of people will be rushing to grab this one. EA Sports had a new trailer ready to go showing off Bruce Lee in the new UFC game, showing off exactly how he plays in game. Honestly, it’s a little weird to see him bouncing around and kicking modern UFC fighters, but maybe it works. We’ll know for sure how it plays since the game is out next week. This year’s entry into the NHL series got a trailer demonstrating the new physics that are being applied to all 12 players, as well as the puck in real time. The nice thing is that this year’s games will be the first ones truly developed for the New-Gen consoles. Another personal favorite developer of mine is returning to their roots with a new IP featuring the high octane action that they were known for with the Burnout series of games. While it won’t be a pure car racer like those games were, this first-person action racing game will have all kinds of crazy vehicles play around with. I doubt we’ll see anything much more from this one until next year though. The first game to not feature Tiger Woods on the cover nor title, as well as being the first true New-gen console golf sim got a new trailer as well, showing off the new usage of the Frostbite 3 engine. Because Frostbite is a DICE/Battlefield engine, they of course used it to demonstrate the fantasy courses, showing one that was set on Battlefield 4′s Paracel Storm map. One thing that I thought was very cool is that there won’t be any loading between holes. We do have a bit to wait, as it won’t be out until Spring 2015. What will surely be another big seller, as it is every year, this year’s Madden NFL game got a trailer detailing the defensive overhaul that EA Sports did. Personally, I really only use the Madden games to determine when the summer low season is done, as it releases August 26. One game that I think might end up being buried under the DOTA 2 hype is the upcoming MOBA Dawngate, which got a developer trailer. Another cult favorite getting some sequel love, we got the first trailer and look at Mirror’s Edge 2. It’s still early in the development, but we got a good look at Faith’s design and the changes to the combat system. Overall, at this stage, the game looks really strong. As we get to the World Cup, FIFA ’15 got a new trailer – this one detailing the little tweaks to the system. The primary change that they wanted to promote is that the A.I. will have a sort of memory, which will impact performance and the “emotion” during the matches. I’ve learned very well that I am just terrible at the FIFA games, but the good players will find out if the memory will worth the change this fall. EA closed with the official unveiling of the new Battlefield game coming October 21, even though it had leaked a few weeks ago. 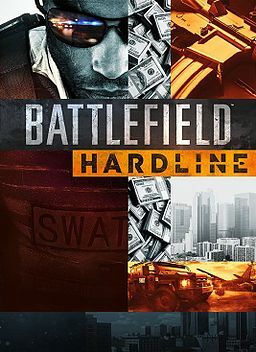 The nice thing about Hardline is that it’s co-developed by DICE and Visceral games (the studio behind Dead Space), which I think will result in both a strong multiplayer experience, while allowing Visceral to develop a great single player game, which has always been lacking in the Battlefield series. One neat thing that I picked up on while they showed some screens was a nice little Easter Egg – there is a poster promoting the “Ishimura” – which of course was the space ship from the first Dead Space. All things considered, the reveal I think looked pretty standard for Battlefield, although the tone seemed a little different than Battlefield 4. The other really cool thing EA did was announce a PS4/PC exclusive beta that started during the conference. While that’s really cool, it had me wondering if maybe the reason it’s not on the Xbox One has something to do with the the leak, and this is EA’s way of punishing them. Total speculation there, but still – the game looks solid, I just wonder how it will separate from what is shaping up to be a really busy October this year. In the end, I think EA had a pretty strong show – they’re high points were really high (Battlefront, Dragon Age, Mass Effect, Mirror’s Edge and Battlefield) and the pace of the show was just right. Good showing this year. Nintendo this year continued their usual tradition of doing things their own way. Instead of renting out a theater and filling press into seats, Nintendo went with a longer version of the usual Nintendo Direct digital events. Of the three main conferences, this one was definitely the shortest, and certainly was 100% Nintendo from start to finish. Just like I did with Xbox and PlayStation, let’s go through Nintendo’s show, top to bottom. Nintendo opened with what is probably their most anticipated Wii U title for this year, showing off some new gameplay footage, as well as announcing a new character – the Mii Fighter. I was pretty impressed with the fact that it isn’t just some stock fighter that is skinned with your Mii, there are three templates to choose from for fighting style, plus a number of individual move customization options. That customization extends to the other fighters as well I believe, which will add even more depth to the game. 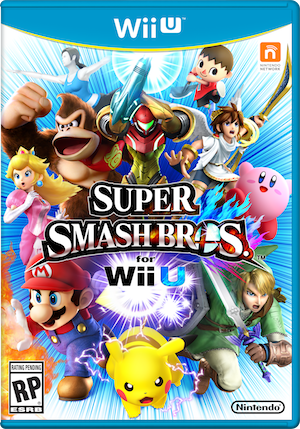 The 3DS version drops October 3, while the Wii U is a Holiday 2014 title. Tied in with the Smash Bros announcement was the reveal of Amiibo, a Skylanders-esque toy system that allows for the figures to come to life in certain games. What I thought was kinda cool is that the data transfer goes both ways, figure-to-game, and game-to-figure. Also nice is that Mario Kart 8 is compatible with the figures, which will launch later this year. The first 2015 title Nintendo showed, Yoshi’s Woolly World is the next Nintendo series to get the yarn treatment. It looked a little more in-depth than Kirby’s Epic Yarn did, looking much more akin to a classic Yoshi game. Seeing the game in action, I was struck by just how beautiful the art style looks. And by adding in 2 player, the game should be a great living room game next year. Next up was a very short teaser trailer showing off a new 3D platformer starring everyone’s favorite living fungus – Toad. We didn’t get any real info about the game other than a Holiday release date, but based on the gameplay in the trailer, it looks like a 3D puzzle platformer. We finally got the announcement of a Wii U Zelda game that we’ve been waiting for, and Nintendo did not disappoint. The footage they showed looked absolutely incredible, striking a visual balance between Wind Waker’s cel shading and the more classic look. The big news I think is that the game is being designed as an open world adventure – which should make the scope bigger than any Zelda game we’ve seen to date. I’m sure we’ll see a lot more, since it’s not coming until 2015, my guess would be Holiday season. 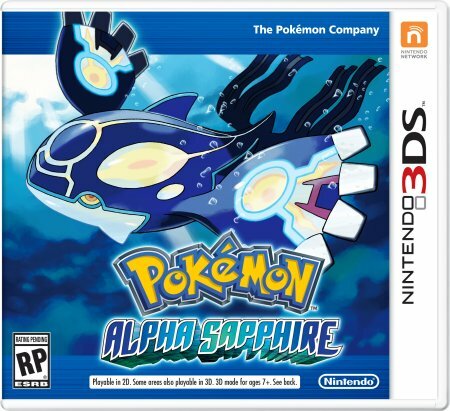 We next got a nice little trailer for the upcoming Ruby/Sapphire remakes, which really served to show off the mega-evolutions of the three starters as well as Groudon and Kyogre. I’m sure we’ll get a bit more info before they release November 21. One of the Wii U exclusives that isn’t a Nintendo property got a new trailer, showing a bunch of gameplay, as well as an October release date. Following the trailer, they showed a bit of footage with Bayonetta dressed up in Nintendo character costumes, as well as revealing that all copies of Bayonetta 2 will come with the original game as well. Next we got a good look at Hyrule Warriors, the Dynasty Warriors/Legend of Zelda mash-up. The actual gameplay looks like pretty standard Dynasty Warriors style combat, with playable Zelda characters. They also announced three new playable characters, aside from Link – Impa, Midna and Zelda. Whether there are further playable characters will remain to be seen, but we have some time since the game doesn’t drop until September 26. We got a nice teaser trailer for the upcoming Wii U Kirby platformer, which looked like a pretty typical Kirby game – which isn’t a bad thing at all. Again, it’s another 2015 game though, so plenty of time for more to come out. Shifting tone a little bit we got a trailer for Xenoblade Chronicles X. The trailer was in Japanese, which makes me wonder if there are even plans to localize the game at this point – it’s another 2015 title. This might be one to keep tabs on if you’re into JRPG’s. One of the nice little surprises for me was the trailer for Mario Maker – I think anyone that grew up playing Mario games probably has some stage designs scribbled in notebooks from back in the day somewhere. With Mario Maker, we’ll be able to make those come to life. One nice touch was the ability to switch from the classic 8-bit look to the modern New Super Mario Bros look. Mario Maker comes out in 2015 as well. The last game they announced during the actual Nintendo Direct was a new IP from Miyamoto’s junior team called Splatoon. My initial opinion changed 100% from the start of the segment to the end. It’s a pretty refreshing take on third person shooters – the goal is to use the ink guns to cover as much territory as possible, while stopping the enemy. But, since it’s a Japanese game, there’s a hard left turn in that each player can transform into a squid to swim through the ink faster and traverse the levels in unique ways. All things considered, I actually think Nintendo might have a really unique winner on their hands with it, but again, we won’t know until next year. Closing out the event, we got one last trailer for Super Smash Bros revealing a second new character, Palutena from Kid Icarus. I’m not exactly how high the demand was from the fanbase to include her, but her fighting style looked like it could be pretty fun. And one last Smash note, later on in the day Tuesday Nintendo also revealed that Pac-Man is also joining the fight, as well as confirming Mr. Game And Watch is back. The 7 year old version of me was beside myself as I watched Mega Man, Sonic, Pac-Man and Mario duke it out in the footage they showed last night. The last thing we saw in the actual Nintendo Digital Event was Miyamoto talking to the camera with a blurred game behind him that was pretty easy to figure out that it was a new Star Fox title headed to the Wii U, which was confirmed later on in the day. All in all, I think Nintendo had a strong show, but to me it seems like they’re really building more for next year, banking this year on Mario Kart, Super Smash Bros and Pokemon to get them through the year. The other big takeaway I had was just how much damage Metroid: Other M did to the Metroid franchise – it’s been four years and still no news on a new game. I think that enough time has passed to get Samus back out there, but we’ll just have to wait and see I guess. Sony held their press conference last night, after a busy day zero of E3 2014, and had a pretty big job to follow a really strong Microsoft showing. Overall, I think the show may have dragged on a little long, especially hitting a snag midway through, but there were definitely some really strong games shown. Just like I did with Xbox, here’s a quick rundown of the show and my thoughts. I figured they would open with new Destiny footage, and they did indeed. This trailer gave us a little bit more story background, told to us by Peter Dinklage. My only negative with the trailer, and this might be more to do with my stream having some issues, but the gameplay looked closer to a PS3/360 than the PS4/Xbox One that I would expect them to show. Not a major issue really, still hyped for it big time. We got a new trailer for The Order: 1886, a game I’m admittedly not that knowledgeable about. But the trailer looked interesting, with what appeared to be a zombie/werewolf thing chasing a human. Could be a pretty cool game. Showing a bit of indie love, Sony brought out Entwined, a game which immediately had me thinking of Beyond: Two Souls based on the art style. It’s a twin stick puzzle/action game that looks like a lot of fun actually, with a pretty serious story behind it. The coolest part was that it is available on the PS4 now, with PS3 and Vita coming later. Another series that, since I’ve not owned a PlayStation since the PS2, I’m woefully out of the loop on. From what I have been able to tell this year, Second Son has been doing quite well, and they announced new stand-alone DLC for it, Infamous: First Light which will be out August 3. Another PlayStation exclusive that I’m familiar with, but haven’t really sat down with and played a lot of. The new trailer for the third installment showed off three new characters that join Sackboy in his adventure. The demo had such character and cuteness it was really refreshing to see. Also cool was that the levels created in the first two games will be able to be played on LPB3 when it comes out on PS4 in November. One of the big questions coming in was whether Sony would talk about Project Beast – the next game from Dark Souls creator From Software. We got our answer in the form of Bloodborne, a new IP from them, with a pretty gruesome trailer that really just served to get the name and game out there – it was pretty tough to glean any real story or character info from it. But it looked pretty damn dark and brutal and gruesome, just what Dark Souls fans want. 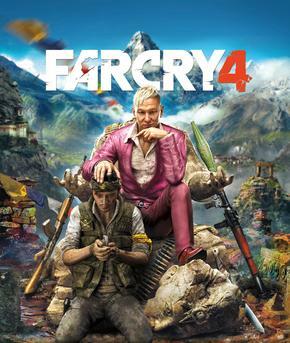 Ubisoft might have a real winner on their hands with Far Cry 4 if the pressers are anything to go by. It was shown not only at Ubisoft’s show, but had a much longer gameplay segment at Sony’s. Gameplay looked very similar to the previous entry, which was a really fun game. The big scoop comes with the announcement that there is drop-in/drop-out co-op, and that with the PS4, you can actually invite people without the game to play, and they can still hop right in. That’s a pretty damn big win for Sony right there. Talk about a shift in tone between games – the reveal trailer for the original Dead Island was one of the most intense trailers from that year. Not so much with this one – much more irreverent tone to the trailer, but we have to wait to see if that translates over to the game too. We got a pretty clever trailer to introduce Magicka 2, an isometric hack-and-slash game. Looked pretty interesting, but nothing super extraordinary. In one of the biggest surprises of the show, we got the announcement that Tim Schafer will be revisiting one of the best adventure games from the turn of the millennium – Grim Fandango. It’s first out on PS4 and Vita, with others to follow – that’s a huge win for Sony as not only is this a really beloved game, but it was probably the biggest surprise thus far. Sony then showed off a number of Indie games coming to the PS4 in the coming months/year, including Broforce, Titan Souls, Not a Hero, Hotline Miami 2: Wrong Number, and The Talos Principle. It’s always good to see indie games getting some good love on the big stage like that. Another nice surprise was the announcement of a new Suda-51 game coming out. The PS4 exclusive Let It Die got a pretty crazy trailer, in typical Suda fashion. From what the trailer showed, it looks like it’s going to be Suda’s take on a zombie shooter/rpg – should be pretty crazy. Following the somewhat over-the-top nature of Let It Die it was nice to get a little refresher in the form of the new game from the creator of Journey. The same feel and emotion that Journey has seem to be present in Abzu, which reminded me of Journey just set underwater. Now we run into the main issue I had with Sony’s presser – after this really great high from No Man’s Sky, they ran straight into talking about hardware. Project Morpheus (VR), PSN news, YouTube – nothing wrong with them, but after Xbox having 90 straight minutes of games, this just felt like hitting a wall. And you could tell online – twitter reactions were not pleased they had this big block of time set for talking about hardware and PlayStation TV, while only briefly talking about the Vita. Following a pretty noticeable lull, they kicked right back in with gameplay footage of Mortal Kombat X, which we now know is pronounced as an “ex”, not 10. 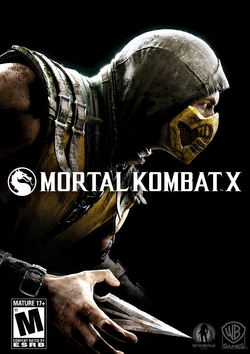 The gameplay footage showed two fights – the classic duo of Scorpion and Sub Zero going at it again, and two new characters, a bee-controlling lady, and a Master Blaster-esque giant. The actual fighting looks as brutal as ever, with the X-Ray attacks returning and fatalities as over-the-top as always. One other thing I thought looked really cool was the stages seem much more interactive in the actual fighting this time around. After a really brutal trailer for Mortal Kombat X, the show took another hard turn into talking about TV and Film available on the PS4. The only real highlight I took away was the show Powers coming later this year, based on the comic of the same name. Nothing wrong with the announcement, but I don’t know that this was the time or place for it. The PS3 exclusive is getting an updated version coming to the PS4, and we got a trailer that really had me scratching my head. All the opinions were that this was one of the best games of last year, and the story was a big part of why – and yet this trailer started with a spoiler warning. It really just felt a little off, but the trailer was still strong. Oh boy, where to start here. I’m way out of the loop with MGS games, having only played a little bit of the first one, so story-wise, I had no clue what’s going on in the new trailer. But that having been said, the trailer looked really really gorgeous. I think it’s one of those trailers that as an outsider I just have no chance of really “getting it,” but I’m sure that fans of the series really appreciated it. Rockstar did a solid for Sony by showing off the PS4/Xbox One updates for GTAV on the PS4. GTA got it’s start on the Sony consoles, so it’s really only fair that the PS4 got the reveal I think. It was already a good looking game on the 360, but seeing it on the current-gen platforms was really eye opening – the game looks incredible. 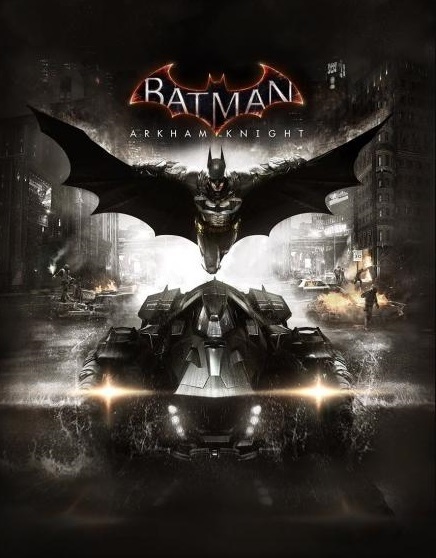 Easily my most anticipated game for 2015 at this moment, I was a little curious what we’d see of it this year, especially considering that the date was just recently pushed back, so I figured it’s probably at a pretty playable state. Turns out we got an absolutely incredible looking bit of gameplay footage that blew me away. The scale and scope of this game look absolutely insane, not to mention the actual gameplay that they showed. I am absolutely on board the hype train for this one – it’s gonna be a major player next year. Sony may have hit a wall in the middle of their show, but they definitely closed strong with Batman and then Uncharted 4. The trailer was showing PS4 captured footage, and looked absolutely gorgeous. Again, I’m a little behind with the series, but I do understand the importance to PlayStation the series has. I think this was definitely the trailer to end the show with, it was a great cap for the evening. All in all, I think Sony had a strong conference, but to me it was just a little bit weaker than Microsoft’s. I’m not saying that as an Xbox fan, I just think that the middle section talking hardware dragged on a little long, not to mention the whole show felt long. Had they gone the same route as Xbox with nothing but games, I think it might have been the stronger showing, but really, the ultimate winners of the whole day were us gamers. There are a ton of incredible games coming our way soon – it’s a great time to play games. We’ve finally arrived at the magical week that gamers wait for all year long – E3. Today is the first day, which means there’s going to be a ton of information coming out all afternoon. Expect multiple posts, and definitely stay up to date on twitter. First up today was Microsoft, who I think was going in with a lot to prove after a somewhat down year last year. They caught a lot of flak from fans for focusing on the console and kinect instead of the games. They took that to heart and this year their show was, as Phil Spector put it, “90 minutes of games.” It was exactly the show that they needed to have, and they really did nail it. I’ll do a quick rundown of the games they showed, with some first impressions, and probably will be talking E3 all month, narrowing down to specific games. Before the show even got started, they tucked two nice announcements in the pre-stream. Titanfall is showing new content this week, including a new game mode, Titan burn cards and customization. My guess is that it will be in a game update that we see pretty soon. They also sneaked in a Gears of War announcement in the pre-show, as well as Threes coming to the Snap window on the Xbox One. They opened, as usual, with the latest Call of Duty: Advance Warfare footage. My stream got a little screwy at the beginning, but I managed to catch most of the gameplay. In general, the first thing that struck me was obviously the new graphics engine – the game looks really smooth and awesome. I also immediately liked the new HUD design, tying all the relevant info directly to the gun is a neat touch I think. They showed a couple cool Forza things – first was the free track, the iconic track at Nürburgring, available today. Second, was showing off the first footage of Forza Horizon 2, an open world take on the Forza formula. The Forza engine has always looked incredible, and this is no different. The game launches on September 30. The game that has been right toward the top of my list since I first saw it showed off a new monster character, as well as a little bit of new gameplay, and announced an open beta for this fall. Really excited to see more of the new monster in action as the summer rolls on. Ubisoft brought their flagship franchise out and showed a little bit more of the latest installment, set during the French Revolution. The big announcement though was that this will be the first Assassin’s Creed game to include four-player co-op tied into the actual story, showing it off on the main stage during an assassination mission. Plus the actual game looks gorgeous. The third installment in BioWare’s fantasy RPG got a new story trailer, showing off a little bit more than we had seen. I have a feeling that this will be one of the games that as the summer goes on, we get a lot more teases of. Plus, as is a trend with these Xbox One titles, it just looks amazing. We also got a solid release date – October 7th. Insomniac’s new shooter got a really killer trailer/gameplay combo. The lead in trailer I think did a good job of setting the tone of the game, poking fun at “modern” shooters and cover mechanics. The gameplay demo did a better job of showing off the idea of velocity in combat in action though. It was a short example, but man, it looks just like pure fun. The other big announcement was that there is an 8-player co-op mode included with the game, which drops October 28th. In a somewhat surprising twist, Capcom showed off brand new Dead Rising 3 DLC that is available now, which basically looked like a love letter to Capcom games of past. Each previous Dead Rising character is playable, and the content itself looks like a more arcade take on Dead Rising. Harmonix came out with some new info – but not for the game I was expecting. I was going in anticipating to see some new Fanstasia footage, instead, we got the announcement of the new Dance Central: Spotlight, coming this fall as a digital only release. Despite being a big Fable fan, I had stayed pretty out of the loop with this game, so seeing the new trailer and gameplay was really nice. Four player co-op tied directly into the story I think just fits perfectly with the Fable universe. Plus the option to play as The Villain is a really neat twist that could be a lot of fun. It looks like there is a Beta planned for the Holiday, so we’ll see more by then. Another game I’m not super familiar with, but know some people who are much more so. It looks like a pretty intriguing experience, and the new confirmed co-op campaign, plus mutiplayer looks kinda cool. Plus they have Conker exclusive in the game, so that’s a plus. It was kind of hard to tell exactly what this game is gonna shape up to be, but it reminded me a lot of Dust: An Elyssian Tail, probably because I was just playing it last month. I really like the art style, so as more comes out, then I’ll make my call on it. I went in today expecting the Halo 2 Anniversary edition to be announced, but what we got was so so much more. The Halo: The Master Chief Collection is everything that a Halo fan could want – the first four main series entries, on one disc, with a full anniversary update to Halo 2. They’ve gone all out with it, adding cross-game mission playlists, every single multiplayer map, running on the original multiplayer engines, plus 4,000 Gamerscore in achievements to get. But that’s not all – it’ll also come with Halo: Nightfall which looks like the Halo 5: The Guardians version of Forward Unto Dawn, plus entry into the Halo 5 multiplayer beta. And in typical Halo fashion, it’ll be out in November, on the 11, with the beta launching on December 27, lasting a full month. To me, this was the killer announcement of the conference. Plus they trolled the hell out of fans with the opening to the trailer. Wisely, after the major Halo announcement, Microsoft shifted focus to games that are expected to land sometime next year or even beyond. What this amounted to was a series of trailers and gameplay footage in various states of completion, plus a good section focused solely on the ID@Xbox program. Playdead announced Inside, which looked a lot like Limbo, Square showed off the first trailer for Rise of the Tomb Raider, which I think is a terrible title, but should be a great game. We saw a good section of gameplay of The Witcher 3: Wild Hunt, which got me totally on board – although I need to play the first games still. Phantom Dust, a game from the Original Xbox is getting a reboot next year. We also saw new MP footage of Tom Clancy’s The Division which looked really interesting, and I think will be a big player next year. We also got a new game from Platinum – Scalebound, which looks kinda interesting, but it’s hard to tell exactly what to expect from it. And finally, Microsoft closed with a trailer showing off the next Crackdown game, which doesn’t surprise me, but I’m gonna remain a little skeptical for now – I liked the original, but the sequel did nothing for me. All in all, I thought Microsoft did exactly what they needed to with their conference – focused solely on games, had a lot of good footage and content, a couple surprises, nothing major and played it a little safe. I think as the actual games get a bit more play and info out this coming week, it’ll be a hell of an E3. Buckle up folks, it’s gonna be a fantastic week.